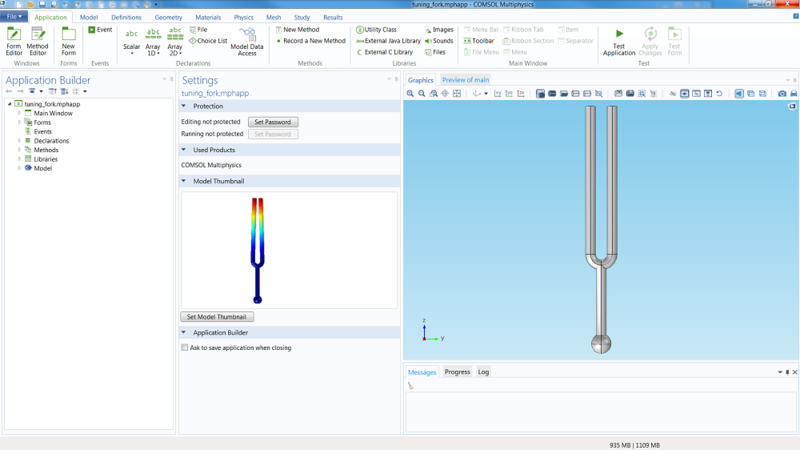 If you have downloaded the latest version of COMSOL Multiphysics — version 5.0 — you can begin using the revolutionary Application Builder. 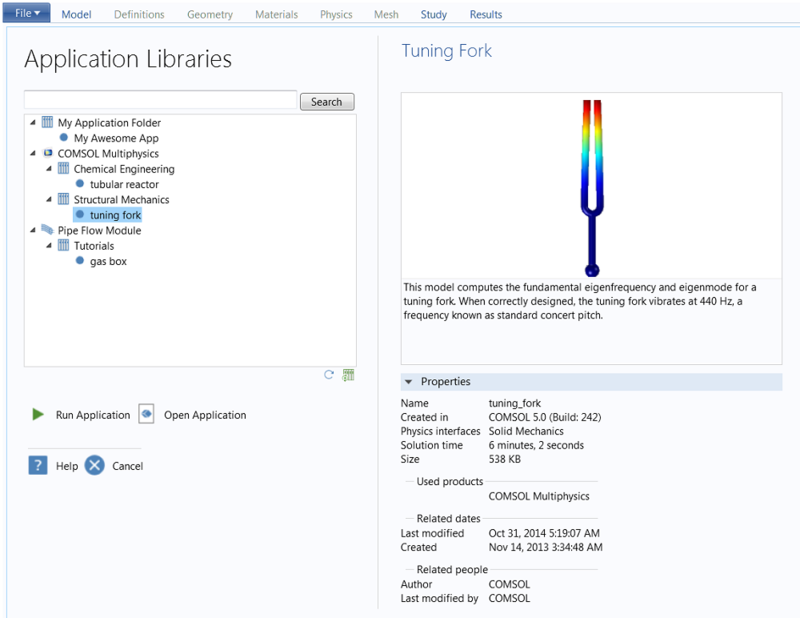 To help you get up to speed on designing your own multiphysics apps, we are adding a number of tutorial apps. 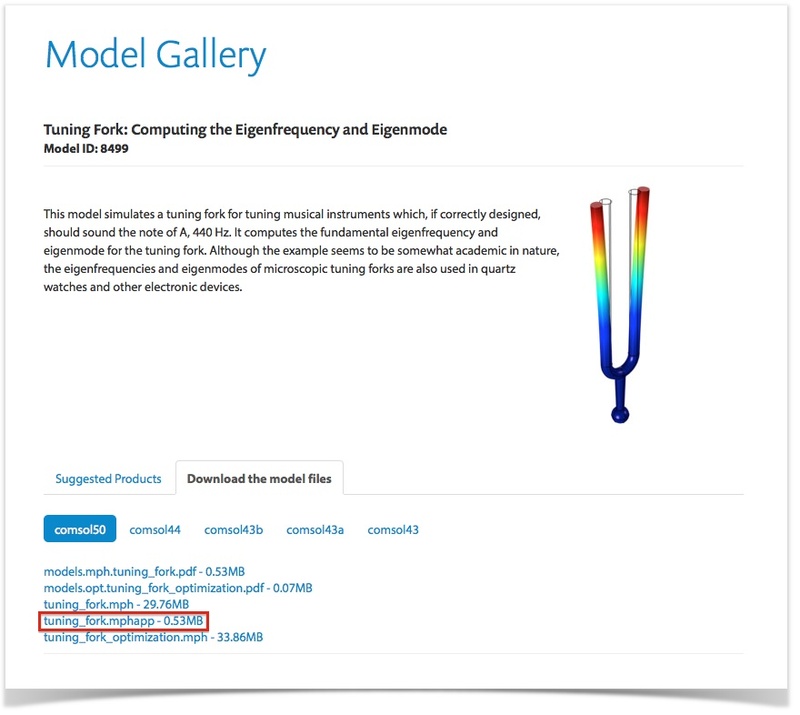 Earlier this year, I wrote a blog post on where to find COMSOL Multiphysics tutorial models. 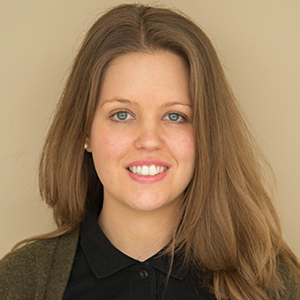 The process for finding and updating applications is very similar to that of the models. 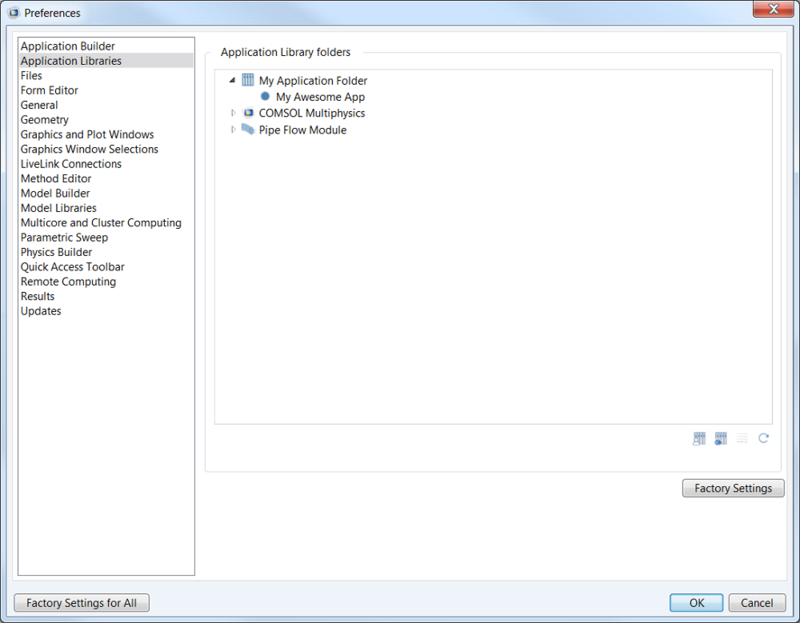 Here, I walk you through finding apps in the Application Builder Library, running Application Library updates, and adding your own Application Library. Toward the end of the post, I also show you where to find tutorial apps in the Model Gallery. 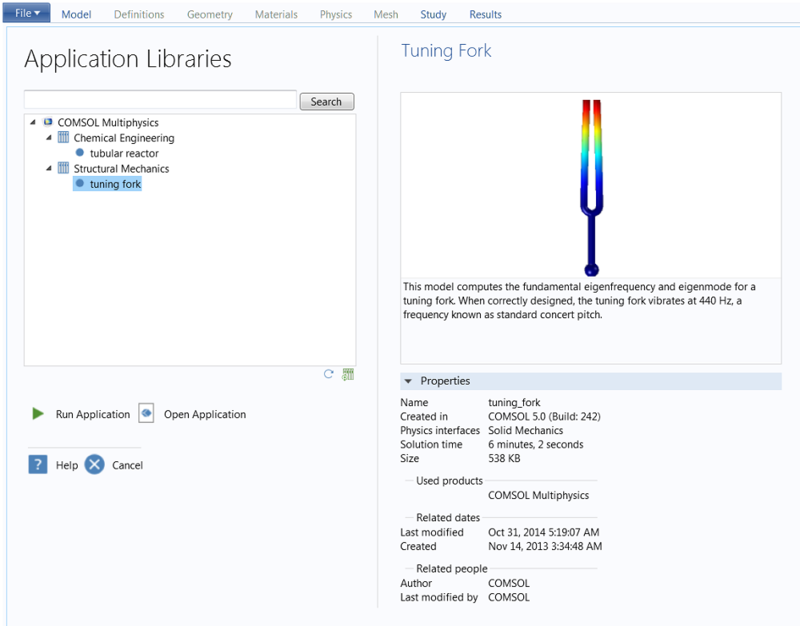 To access the Application Builder Library, we first launch the COMSOL Multiphysics® simulation software and click on “File” (or “Windows” if you are using Mac® or Linux®). Next, we select “Application Libraries”, which brings us to the Application Libraries containing tutorial apps listed by product. As of writing this, the Application Library is still looking a little empty. However, we are in the process of creating and adding more tutorial apps for you, all of which will be available via Application Library updates (more on that below). 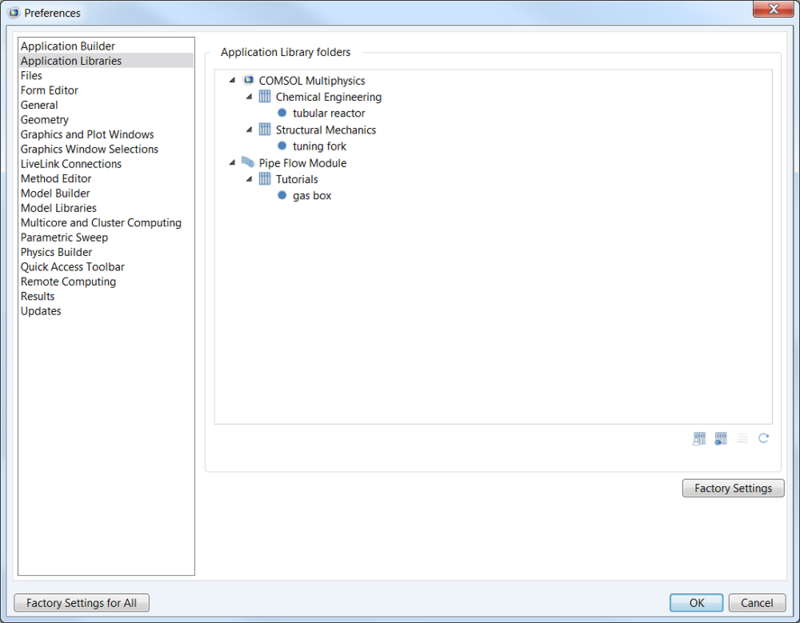 Application Libraries screen in COMSOL Multiphysics version 5.0 prior to running the first Application Library update. 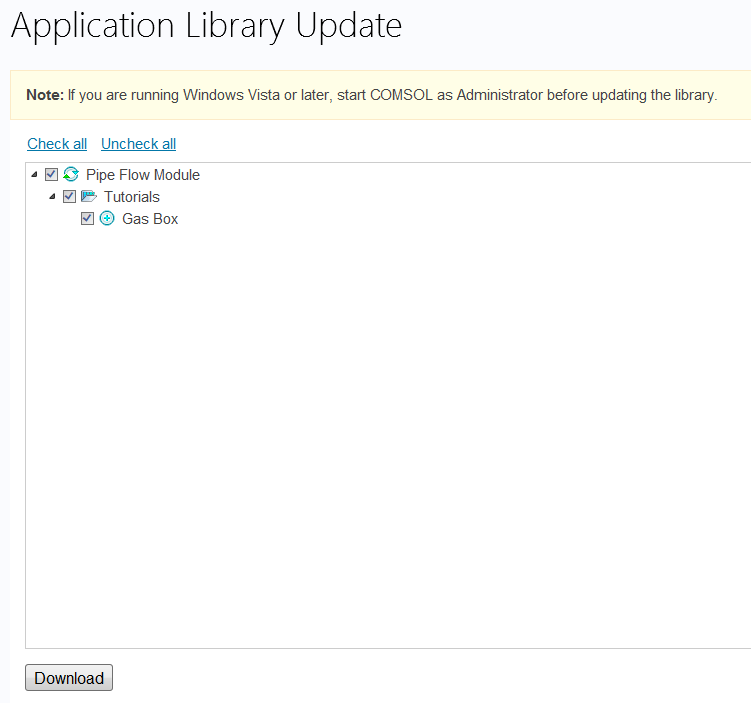 Those of you who are running Windows® will have the option to either run or open the application. Mac® and Linux® users may only run apps for now. If we click on “Open Application”, we will enter edit mode in the Application Builder. If we want to see what the app looks like in action, we simply click on “Run Application” directly from the Application Libraries screen (or within the ribbon after entering edit mode on Windows®). Run the app (shown as it looks before you hit “Compute”). We’ll be running plenty of Application Library updates as we launch more tutorials. Let’s review how to activate the updates. To check for new application updates, we need to open the software from our desktop by right-clicking and selecting “Run as Administrator”. Then, we click on “File” and choose “Help” (or just click “Help” if you are using Mac® or Linux®). Alternatively, you can click on the green button within the Application Libraries, instead of navigating through the File menu. Finally, we ensure all the apps we want to include in the update have a tick mark in the box next to them and click on the “Download” button. Just as you can add your own Model Library, you may now add your own Application Library with COMSOL Multiphysics version 5.0. Do you see that button that says “Factory Settings”? Directly above that button, we click on the far-left icon, which reads “Add User Application Library” when you hover over it. Finally, we navigate to our folder that contains the apps and click “OK”. The folder and all associated apps will now appear in the Application Library. In our case, we named our folder “My Application Folder” and it contains one app: My Awesome App. Since a simulation app starts with a model, we have used some of our existing tutorial models from the Model Gallery as the basis for application tutorials. Models that have also been turned into applications will have MPHAPP-files available for download along with the usual documentation and MPH-files. 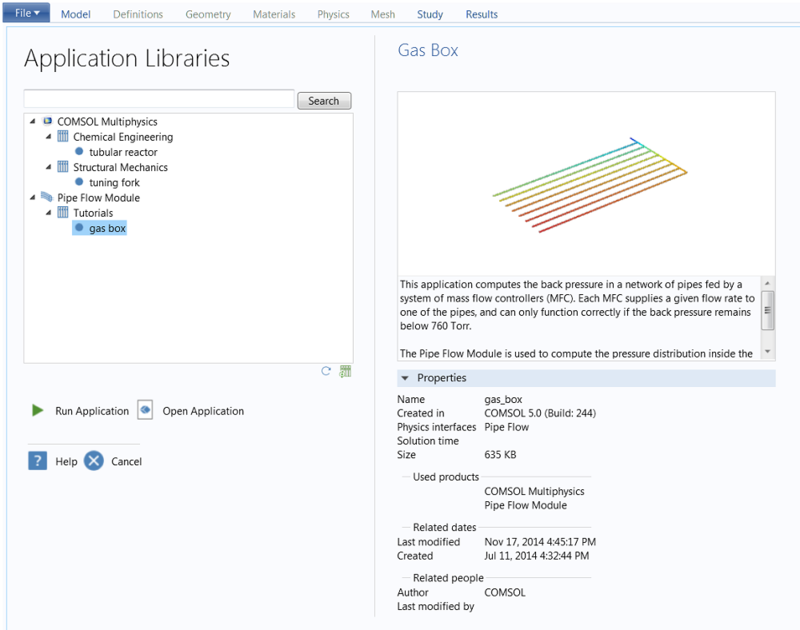 To access the app file, you will need to sign into your COMSOL Access account. 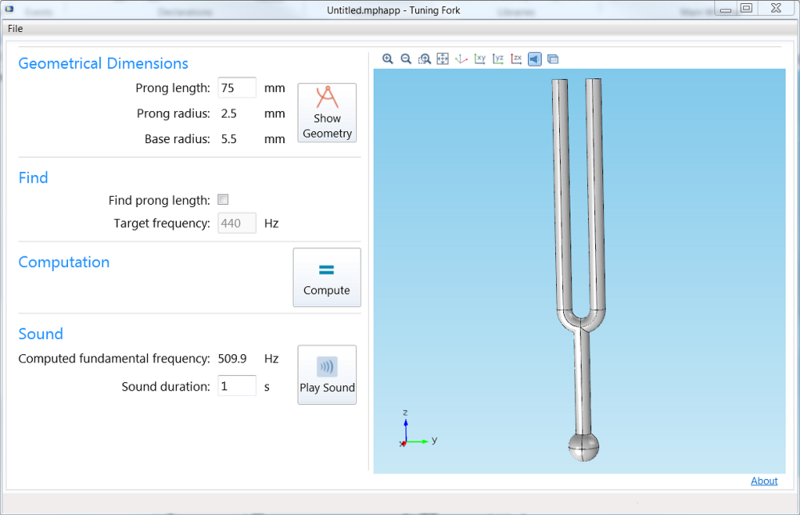 Screenshot of the Tuning Fork model with the “Download the model files” tab open and the software version set to 5.0. The app file is marked red in the screenshot to highlight its location. Now that you know where to find tutorial apps, it’s your turn to help revolutionize the world of multiphysics simulation. Mac is a trademark of Apple Inc., registered in the U.S. and other countries. Linux is a registered trademark of Linus Torvalds. Is there an Apple Mac version of this planned? We don’t have an OS X version planned, but if we get enough requests then it is certainly something we will consider.